This is the best picture of this relatively rare board I could locate. The clock was really primitive. 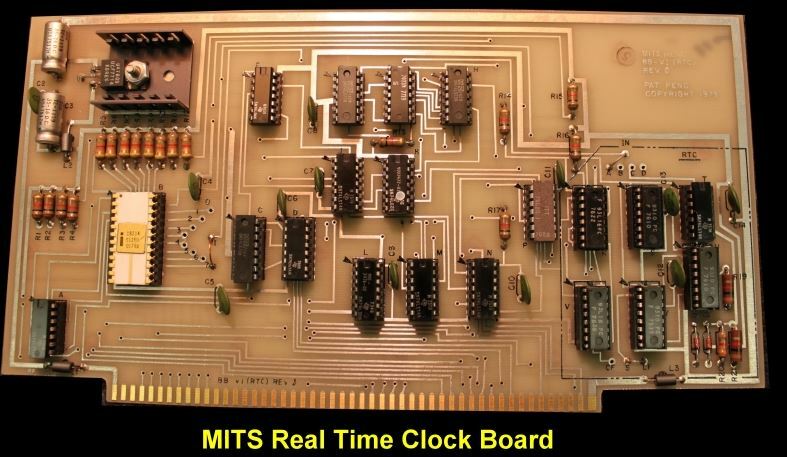 The board was really a priority interrupt controller the clock/time function was obtained either from the S-100 bus 2MHz signal (pin 49) or the 60HZ from the power line. Time date etc had to be calculated in hardware.